Montreal has a number of beautiful churches and basilicas and one of the most famous basilicas is Saint Patrick's Basilica. 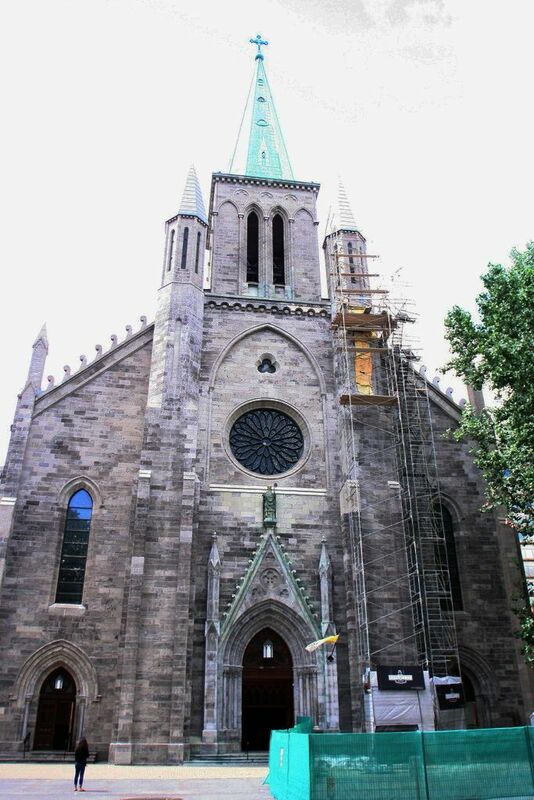 The basilica being named after Saint Patrick has historic links with the Irish community of Canada and is the oldest English speaking Roman Catholic church in Montreal. 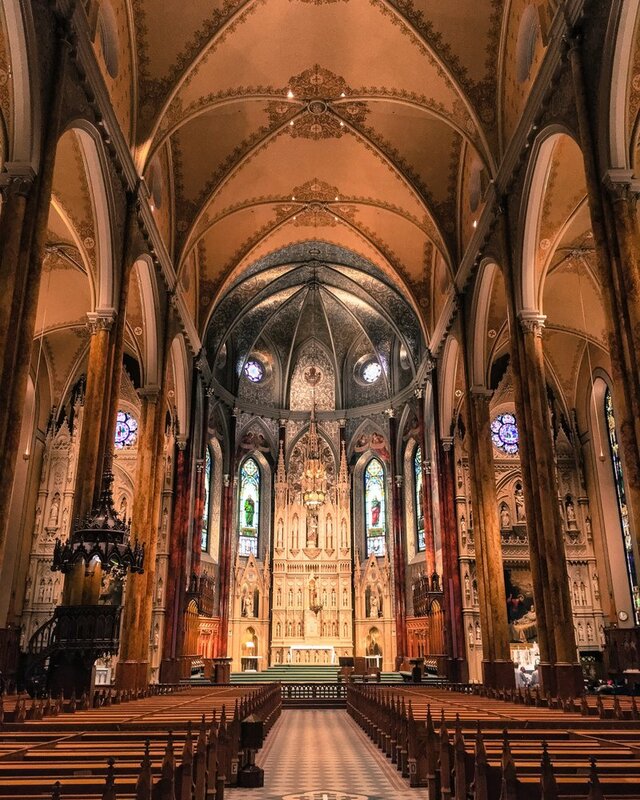 The basilica is situated on René-Lévesque Boulevard in downtown Montreal and is worth the visit even if you have been to some of the other beautiful basilica's in the city. 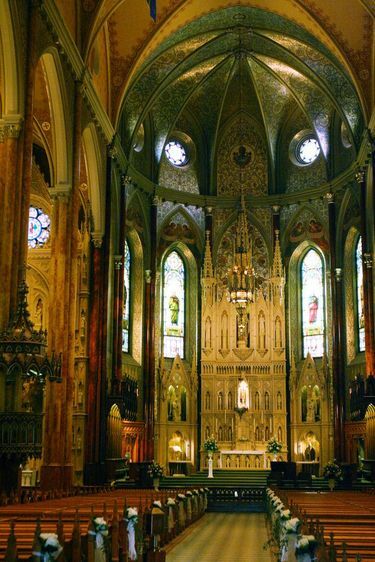 The architecture of Saint Patrick's Basilica is Gothic Revival unlike Saint Joseph's Oratory which is Italian renaissance. 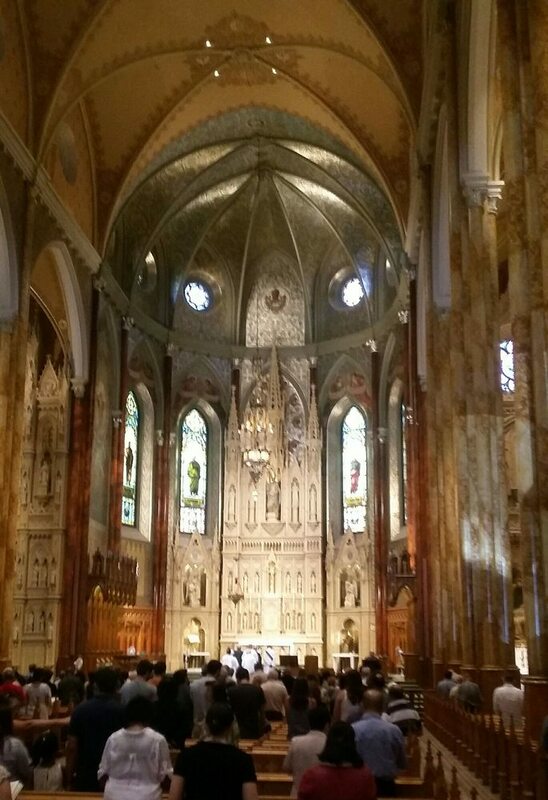 The Basilica was designed by P. L. Morin and Father Felix Martin and is a true master piece of the Gothic Revival style. Notably inside the church you will see a beautiful mosaic work on the ceiling and stained glass with much attention and detail going into the woodwork inside the basilica. The choir which performs selected services is made up of volunteers from the congregation with each section being led by professional singers. Mass takes place on a daily basis and is led by various of the parish's priests. There are also devotional services held weekly. Any Catholic, Irish or otherwise, feeling a little homesick should definitely pay the Basilica a visit to get a taste of home. 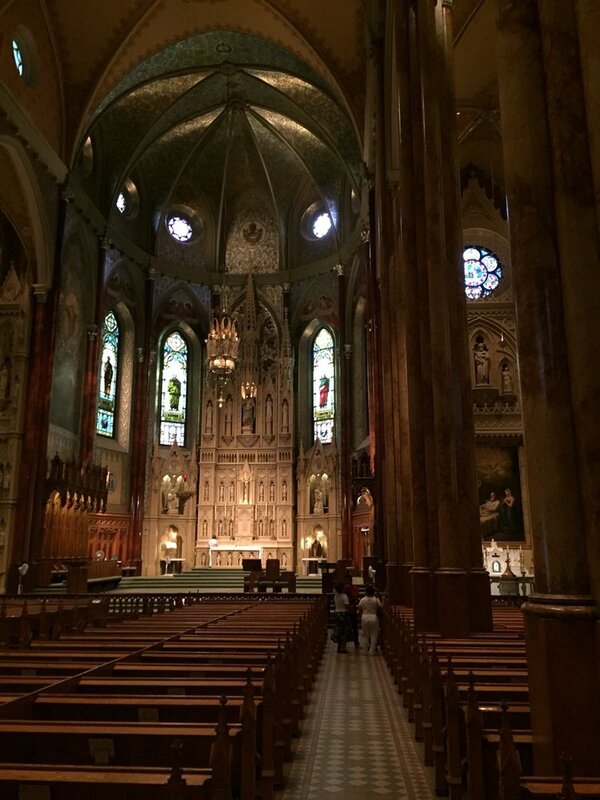 Not only is it a place of interest from a religious and an architectural perspective but also from a historical perspective especially for Irish Canadians living in Quebec. The Basilica has been named a National History Site of Canada. The Basilica now has the honorary title of minor basilica which was promoted by Pope John Paul II. By Metro: Take Metro Line 2 to Station Square-Victoria and exit to Belmont Street. Walk straight south down Cote du Beaver Hall (the street to your left as you exit) and then turn left at Gauchetiere Street West. The basilica is set back from the park and steps just ahead on your left.